When I did a bit of digging into the brand, I found out that they actually produce a wide range of sports protection, sports medicine, and performance apparel for active people. Their vast range of products include: shorts, headwear and various compression sleeves. At the core of the brand is a drive to prevent injuries and enhance sporting performance, novice or professional. The brand started in 1969 when it produced the very first widely used protective knee brace; from research, it seems as though they are still recommended by today’s top athletes. The product is designed to keep your calf muscles warm and lower the chance of any injury. The product also helps to reduce fatigue in your muscle; this is due to the compression feature that the product provides. The product features a thick material that holds heat in the area that is applied to. This material also helps to prevent bruises and scratches from your shins. I would recommend the following sizes: small for 12 – 14 inches, medium for 14 – 15 inches, large for 15 – 17 inches and size extra large for 17 – 18 inches. Please see the below video that shows an unboxing and also demonstrates how to use the product. Compression sleeves for calves are for regular athletes, by which I mean people who play sports frequently. The main benefit of a calf sleeve is that it keeps your calf muscle warm, which reduces the chance of injury. 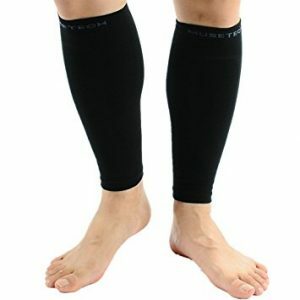 If you often find yourself playing sports in a cold environment, a calf sleeve is probably a good product for you. The product ensures that my muscles are fully warm and reduces the chances of me pulling a muscle. You could also use this product if you have any previous injuries; the compression will keep the injured area warm will help to suppress any pain. The third way you could use this product is for protection. The product is a life-saver during rugby as I regularly get kicked in the shins; this product ensures that I am not left with a load of painful bruises and scratches. 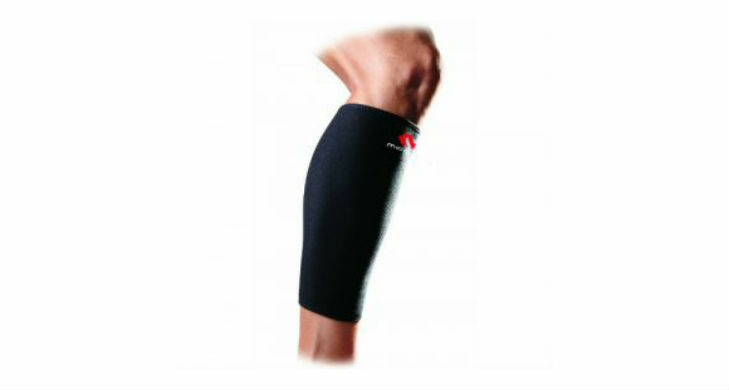 The McDavid calf sleeve is reasonably priced and competitive with other similar products. The exact price will depend on where and how you purchase it. You can find them in brick and mortar stores, as well as online. The main thing I love about this product is that it does exactly what it is supposed to do. I wanted a product that would keep my calves warm and compressed; the last thing I wanted was an injury. My friend tried a few other brands but these were keeping in the heat. I do have to agree with his consensus; the material used is very good at keeping my calf muscles warm and supple. The specific material that the brand used for the product seems to have been chosen for the one main aim, to keep as much heat inside as possible. The fact that the product generates a lot of heat does, however, mean that your legs sweat a great deal more than usual. If the weather isn’t particularly cold and you are non-stop running then this product isn’t the one for you; your calves can overheat and it does get distracting when you’re trying to focus on the game. The material is also a problem when it comes it putting the product on and then taking it off; it is a very thick material that takes a decent effort to get on. If breathability is particularly important to you then I would recommend the MUSETECH Compression Calf Sleeves. They are available on Amazon.com here. These sleeves feature a ventilation construction to allow your legs to truly breathe. The product is known for its good compression, so it does its main job. It is, however, still quite difficult to get on and off. Another product worth a mention is the Copper Calf Compression Sleeve (view on Amazon.com). This looks like a real high-quality product that has hit a great balance between tightness and breathability. The high quality does mean the product is ever so slightly more expensive than its rivals. Afterall if you’re still searching for the right product we have detailed article on best compression clothing brands. To conclude the McDavid Calf Sleeve Review I have to say that I do really like this product. It provides me with what I want and at a very fair price. Can’t ask for much more than that. I bought this to keep my calves warm and that is exactly what it does. The “too hot” issue is a bit of a negative but it is one that I can live with, the extra protection I get on the rugby field is worth it. Besides, it is so cold where I live that I don’t have the overheat issue all that much.